Everyone, parent or non-parent, is well acquainted with the main plight of new parents: newborn exhaustion. Having a newborn means that any chance of maintaining a regular sleeping pattern goes out of the window. After all, babies sleep for more hours than adults, but the periods that they are asleep for are much shorter. They awake regularly for feeding, changing, or sometimes just a little attention. So a solid eight hours for any new parent is a thing of the past. However, there are several ways to give your little bundle of joy a more comfortable and agreeable sleep. Here are a few to consider. Every baby needs a designated space to sleep. It’s tempting to co-sleep with your newborn. After all, you just want to cuddle them and when they fall asleep in your arms you won’t want to disturb them. However, it is recommended that you do not sleep with your baby in your bed with you. They are small, vulnerable and you may roll over in your sleep and hurt or injure them. So ensure that they have a sleeping space of their very own. 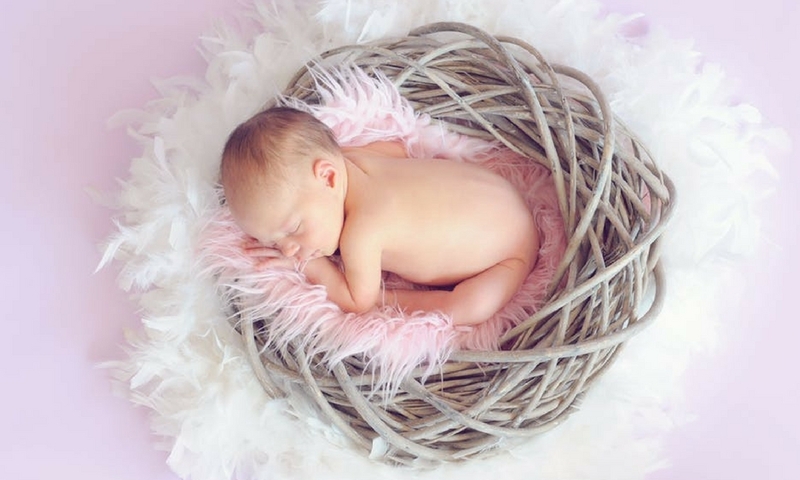 While people generally associate babies with cots, most parents find moses baskets to be much better options when their child is still tiny. They are smaller and will have a swaddling effect on your infant, making them feel safe and secure. They are also portable, meaning that you can move the basket from one room to another, keeping a constant eye on your baby while they sleep during the day. Make sure that the basket has a wide base to prevent toppling and a soft, comfortable lining. Once your baby outgrows their basket, you can move up to a cot. This will give them more room and freedom of movement to get comfortable during the night. Perfect! Sometimes babies find it difficult to nod straight off. There are plenty of soothing toys out there on the market that will help them to sink into a deep sleep. Mobiles are perhaps the most popular option out there. A mobile provides visual stimulation, often consisting of hanging animals or shapes in a variety of pretty colors. Many will also play soothing music to the tune of popular lullabies. The combination of these moving shapes and soft sounds can send your baby into a trance-like state where they relax and slip into the land of nod. A new baby sleep device proving popular with parents are light projectors. These projectors cast pretty light patterns across the walls of your baby’s nursery. Most often they will project soft stars in warm tones that move across the walls and ceiling. 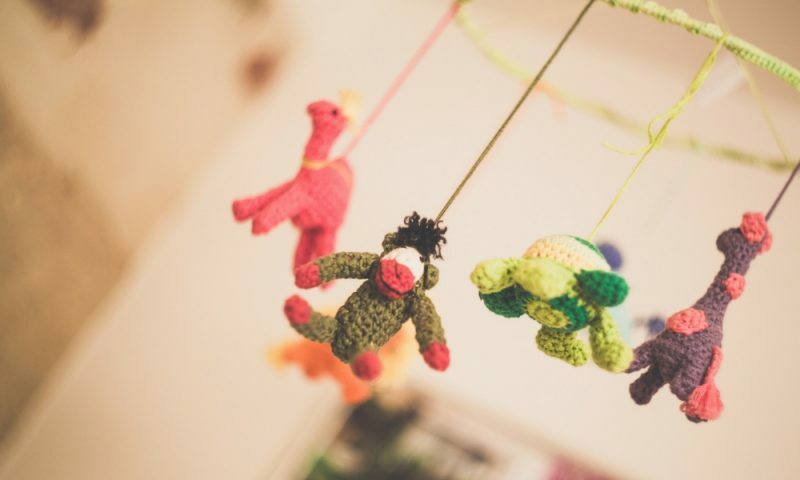 This has a similar effect to the traditional mobile but doesn’t distract your baby with a tangible to reach out for and attempt to play with. As adults, we are much more tolerant to slight changes in temperature than a newborn will be. But not to worry: monitoring room temperatures in your home is easier than ever. There are various plug-in devices on the market that can be left in the room where your baby is sleeping. You don’t even have to make the conscious effort to check the reading on them regularly. They will glow green for as long as the temperature is ideal and the glow will turn red when the temperature needs to be altered. All you have to do is glance over now and then to ensure that everything is the right temperature, allowing your little one to be as comfortable as possible at all times. If you have a warm bath, you’ll be well aware of how sleepy it can make you. The same will apply for your little one, so giving them a soothing bath before bed will increase their chances of drifting off to sleep quickly. Bathe your baby as usual, but use specialist baby bath products. Many brands have special ranges for night time baby care, with calming aromas. Remember to rinse any products off thoroughly and completely dry your baby before changing them into their pajamas and putting them to bed. A talc is a good option for ensuring that hard to reach nooks and creases are completely dry. Focusing on these areas will give your baby the best shot at comfortable sleep whenever they rest their eyes. Remember, a well-rested baby means a better rested and less stressed parent, so see these purchases as an investment for both of you. You’ll both feel all the better for it. I’m sure that many parents have struggled to get their baby or child to sleep at night. What were your top tips?